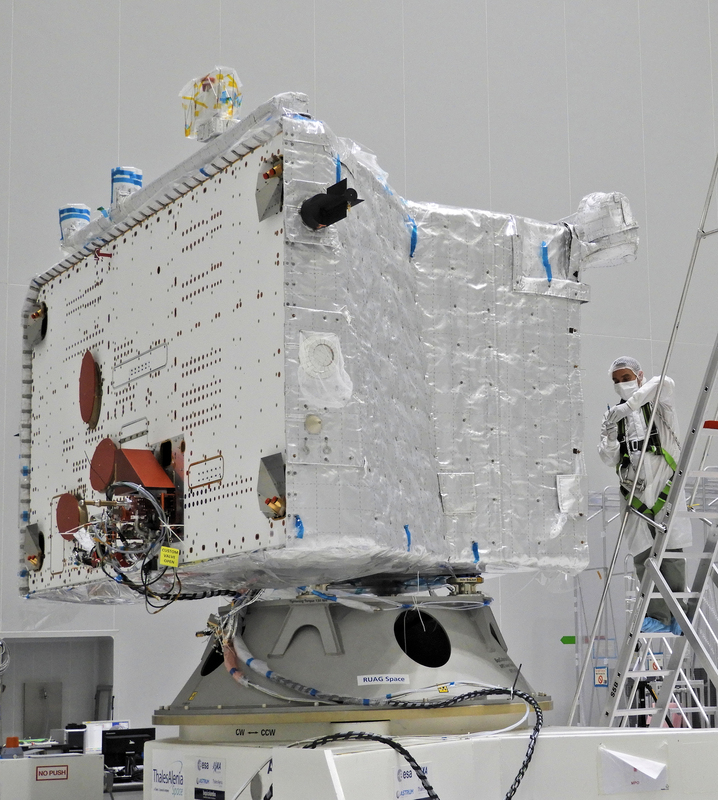 The BepiColombo Mercury Planetary Orbiter (MPO) with the first part of the multi-layered insulation fitting completed. The white outer layer is a high-temperature blanket to protect the spacecraft from the extreme thermal conditions that will be experienced in Mercury orbit. The joint ESA-JAXA mission comprises two scientific orbiters – ESA's Mercury Planetary Orbiter and JAXA's Mercury Magnetospheric Orbiter – that will be carried to the innermost planet by the Mercury Transfer Module. Launch preparations are taking place at Europe's Spaceport in Kourou. The launch window is open 5 October – 29 November.